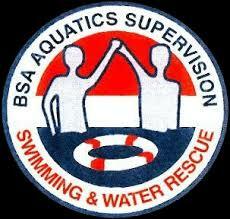 Scouts BSA Swimming & Water Rescue – May 4, 2019, 8 am to 5 pm. Location: Downtown YMCA, 1041 P Street, Lincoln, NE. Although the training is consistent with training provided professional lifeguards, the Swimming & Water Rescue course is not a lifeguard training course. On the other hand, this course addresses important information that may not be covered in generic lifeguard training programs such as: preventative measures, including the buddy system and swim classification tests; how to set up a safe swim area in diverse situations; the use of non-standard rescue equipment; and emergency action plans in remote settings. Therefore, BSA leaders with lifeguard training from other agencies are encouraged to complete this course prior to supervising unit swim activities in remote settings. Adult and youth first aid training, including CPR, is an important safety consideration for all Scouting activities, not just swimming. First aid training is not included in the Swimming & Water Rescue course with the expectation the leader has addressed this need separately, as noted in the course material and on the training card. Prerequisites: See attached requirements (1 and 2). Participants should bring their own swimming suits and gear, a notebook and writing materials. Lockers are available on-site, but participants should bring their own lock. Course includes training materials, facility use fee, lunch on-site, and patch upon completion.